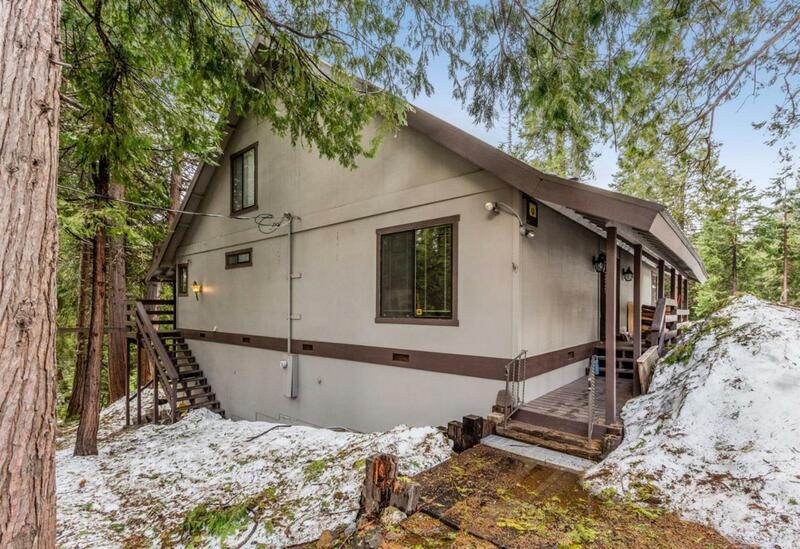 Classic Sierra Cedars cabin located on a 1/3 + acre lot. 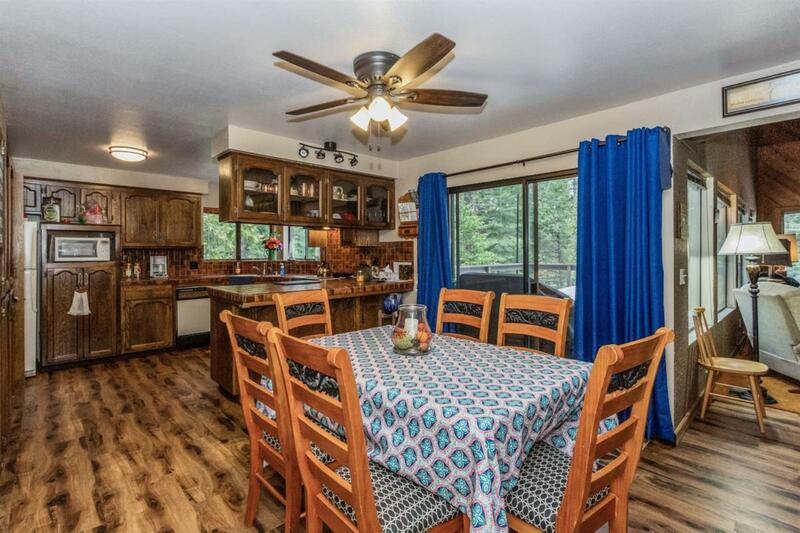 3 bedroom and 2 full bathrooms plus a spacious kitchen, large redwood deck make this cabin a great value for family and friends. There is a large free- standing fireplace in the family room, which will keep everyone warm on the coldest snowy nights. 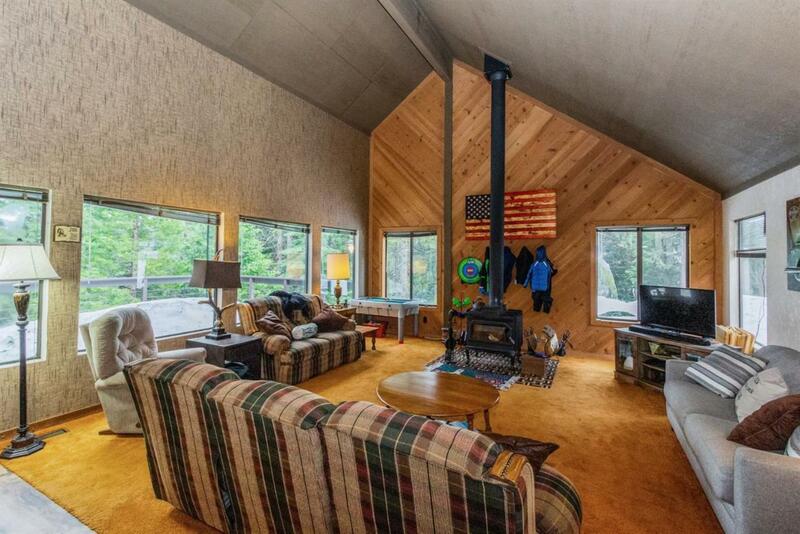 In addition the cabin has central heating from a furnace in the basement area. The windows and sliding glass doors are all dual pane for increased insulation. Plenty of room on this easy access level lot for boats, RV's, trailers and family vehicles. Only a few steps and a covered entry make this an easy cabin both winter and summer for everyone to enjoy. 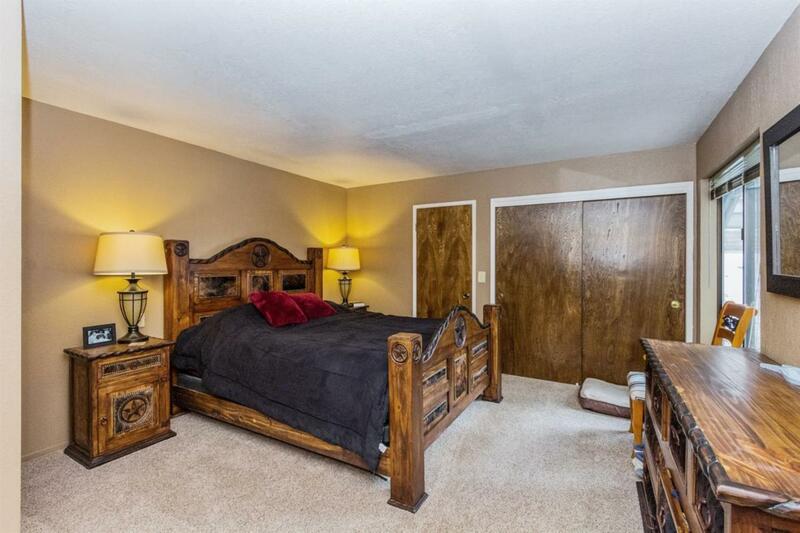 The master bedroom is located downstairs nice for mom and dad! Fantastic value with lots of room for the entire family.